Kamla Keswani Sindhi Classical Music Singer. She is most popular Indian Sindhi Folk Music Artist. She is most famous Sindhi Indian Laada Singer and she had sung Sindhi Laada, Marriage Songs, Sehra and Geet and also she was great Sindhi Lok Music Singer. She had sung lot of songs in Sindhi language, and she shows love with Sindh Dherti. She is still very popular in the Sindhi society of India and also people of Sindh like her great songs. She was got lot of Awards with many times and trophies for the best Sindhi singer. She was very popular on All India Radio. The singing style of Kamla Keswani happens in a live setting, perhaps at an outside Mehfils, she has sung Sindhi Laada, Sindhi Sehra moreover in wedding ceremonies. She showed such new style in Laada like "Bhagwani Navani" and other Sindhi Artist of India. She performed well and appreciated from Sindhi Peoples, her songs scattered from one town to next town and villages. I have selected some post popular Sindhi Sehra, Laada and Lok Geet of Kamla Keswani. 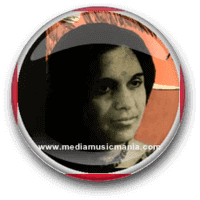 Kamla Keswani started singing Laada in Sindhi Language, and also she had sung Sindhi Lok Music, she was very famous Artist in Sindhi Classical Music. She was very popular when she started singing of Sindhi Sehra, Laada, Sindhi Folk Music and traditional Sindhi marriage songs and become a popularity her name in the house hold of Sindhi families. Sindhi peoples also had to listen her Sehra in the marriage celebration, her popular Laada are "Laado Laar Wendo" "Kunwar Re Tu Khi Chha Khapi" "Wetho Dhedru Ladhe Je Dharhhi Shra Te" and Ludhado Ladho Chralibelo Shahijadi" and other lot of popular Sehra, Laada are the integral part in Indian Sindhi society and also in Sindh.